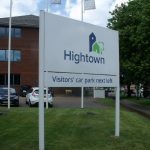 Tray panels have folded panels to give an extra dimension to the sign. kind of like a box rather than a flat panel. Can be sign written on both sides. Posts are mounted either side of the panel rather than behind it. 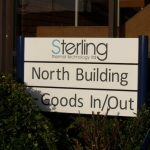 If you are looking for a higher quality sign solution, Tray Panels could fit the bill. 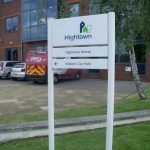 With tray panel signs, the 3mm aluminium used in plate and post signs is folded over to create a box rather than a single flat sheet. This adds dimension and a look of quality to the end result. 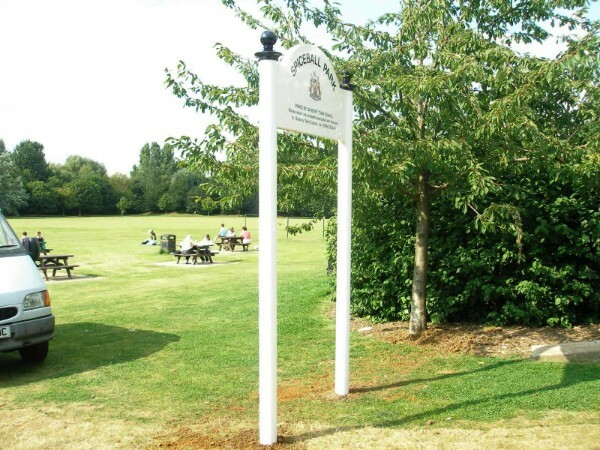 The posts are located on either side of the panel which can be sign written on one or both sides. Made from aluminium, tray panels won’t rust or corrode. 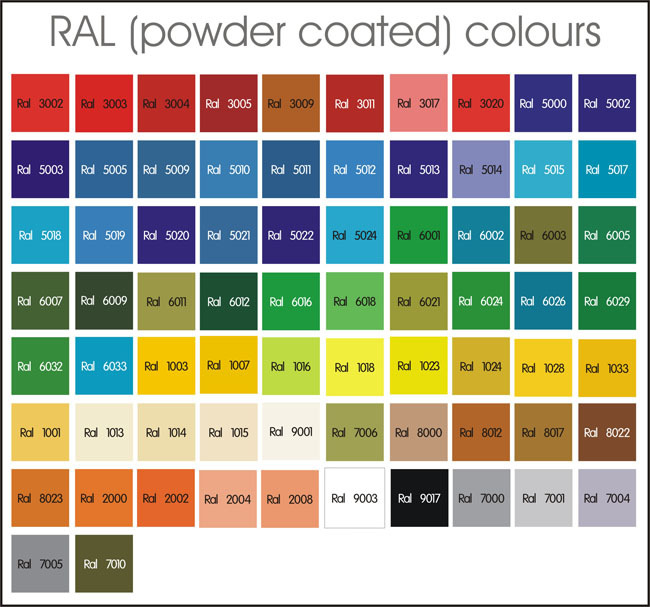 Impact Signs can powder coat them in any RAL colour and create designs to your exacting requirements. 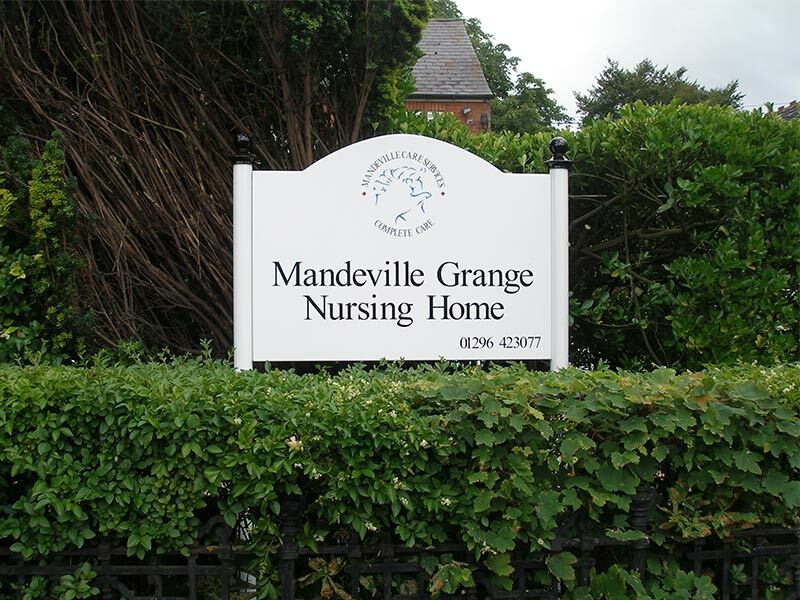 For added impact lighting can be added to tray panel signs to ensure it is clearly seen at any time of day or night. 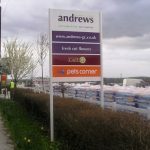 Tray Panel signs are commonly seen on retail parks, commercial premises and industrial estates, as well as in the grounds of hotels, parks and leisure facilities. We use a specialist programme to determine the post thickness and hole depth before providing a full installation service on all Tray Panels. 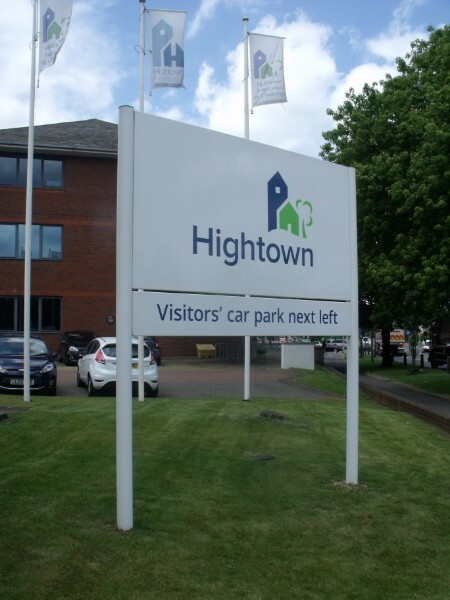 If you are unclear about which plate and post sign will be most suitable for your setting, the team at Impact Signs are happy to discuss the advantages of each and make recommendations, so get in touch! These attractive looking finials are manufactured in cast aluminium and come complete with pre-drilled allen key grub screw fixings. Finials are available from stock in mill finish or grey painted. 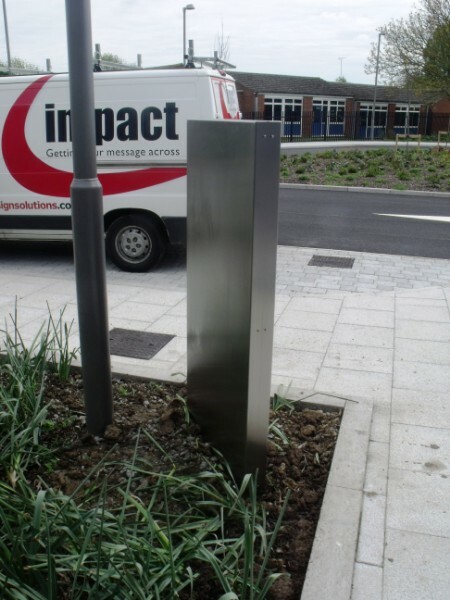 They can also be powder coated to any stock RAL colour to match the shade of the post. The Alpine, Gothic and Domed finials are available for use on 76mm posts only.